Very low interest rates, stubbornly high fund management fees and tepid performance from equity markets have presented investors with a dilemma  where to invest any spare cash. One relatively recent alternative that has captured the public's interest is equity crowdfunding. 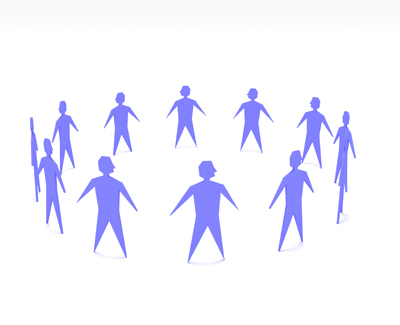 Crowdfunding is when a group of individuals pool their money to support other individuals or companies. Crowdfunding comes in three main flavours, determined by what the backer receives for their cash  rewards/donations, loans or equity. Here is a great video explaining the different types of crowdfunding. In equity crowdfunding investors receive actual shares in the company and investments can start from £10. It's a bit like being an arm-chair dragon. So here's a guide for investors who are wondering precisely what is involved in equity crowdfunding. The reason for buying shares in a business is that you want to benefit if the underlying business is successful. Returns are made through a share in any sale of the company (the exit) or through dividends (in the early years these are very unlikely as funds are needed to grow). If the valuation is too high it's going to be difficult to make a decent return. Companies pitching for your investment really need to justify exactly why they have valued themselves at the level they have. A key benefit of investing via crowdfunding is that it gives you the ability to access a very generous tax relief called the Seed Enterprise Investment Scheme (SEIS). Under SEIS, an investor can claim back up to 50% of the value of an investment on their income tax. The overall impact of the tax breaks can result in certain investors totally mitigating their risk all together (i.e. they are protected 100 per cent of the value of their investment!). On the upside there is no capital gains tax on a profitable sale and the shares are exempt from inheritance tax. Conditions apply and you should view HMRC for the latest information but this is a very generous tax break. A downside of buying shares in unlisted, early-stage businesses is the lack of liquidity  being able to realise cash in a hurry. There's currently no established market to exchange these shares so the earlier you invest in a business, the longer the time that you're likely to be tied into your investment. Investors are hoping to earn an extra return (the so called liquidity premium) for taking on this risk. There's no disputing that early-stage companies are risky. Failure is reasonably likely and therefore it's critical that you adopt a portfolio approach to your investments. One of the key benefits of equity crowdfunding is that by investing small sums of money in a larger number of businesses it is straightforward to build up a diversified portfolio. Investing specifically in the businesses that inspire and matter to you is great fun! Why let a middle man invest your money in a faceless corporation that you might otherwise be uncomfortable about? Investing directly in early-stage companies has a huge impact and it can be truly exciting to be involved at the start of the journey.